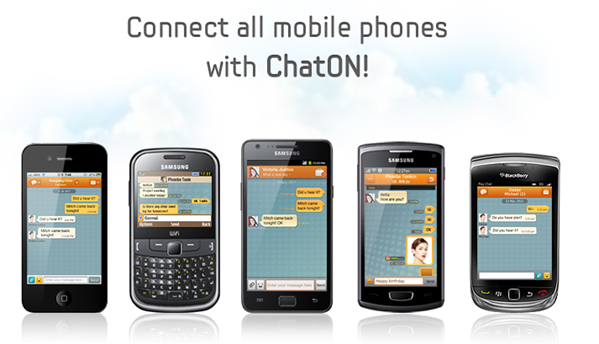 Samsung ChatON App Now Available For BlackBerry, Android Version Updated For Tablets – Download Now! 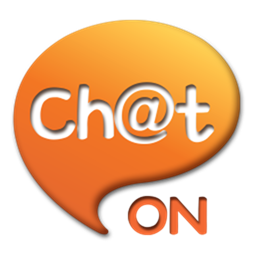 Samsung’s entry into the mobile chat arena, ChatON is now available on all BlackBerry devices. To add to its Android compatibility, Samsung has also brought a tablet optimized version to the Google Play market which offers an improved experience for those using tablets powered by the Ice Cream Sandwich and Honeycomb flavors of Android. Currently used by few people – around one million downloads for Android compared to ten times that number for its closest competitor, WhatsApp – ChatON is Samsung’s cross-platform instant messaging app. With an iOS version released in January, joining the Android version which was made available back in October, ChatON is now available for all BlackBerry handsets having been compatible with the Torch smartphone before the latest release. In order to give the app as much of a chance to take a foothold in the instant messaging space, Samsung also offers two version of ChatON in web app form. Both touch-enabled and standard versions of the web app are available for those that wish not to download a dedicated app for their online instant messaging. With BBM, or BlackBerry Messenger already the big player for RIM’s BlackBerry devices, and iOS now featuring iMessage as its built-in alternative to SMS, many have been wondering whether existing instant messaging apps have much of a shelf life left. Now Samsung has released versions of its app across all the major platforms alongside two web apps, the Korean company has given ChatON as much as a fighting chance as it could expect. Whether many will give the app a chance, let alone move to it wholesale as well as pushing their friends to do the same, remains to be seen. Those with a BlackBerry PlayBook will also be disappointed. There is currently no native app for RIM’s tablet machine, though with sales being minimal it is fair to say that the number of people disappointed by the app’s no-show will be few. With the proliferation of instant messaging apps now available for all platforms, one guaranteed loser here has to be the carrier. Previously seen as something of a cash cow for carriers, SMS is now all but obsolete for many with smartphones thanks to its free alternatives. Carriers will now need to find another avenue for its absorbent prices.